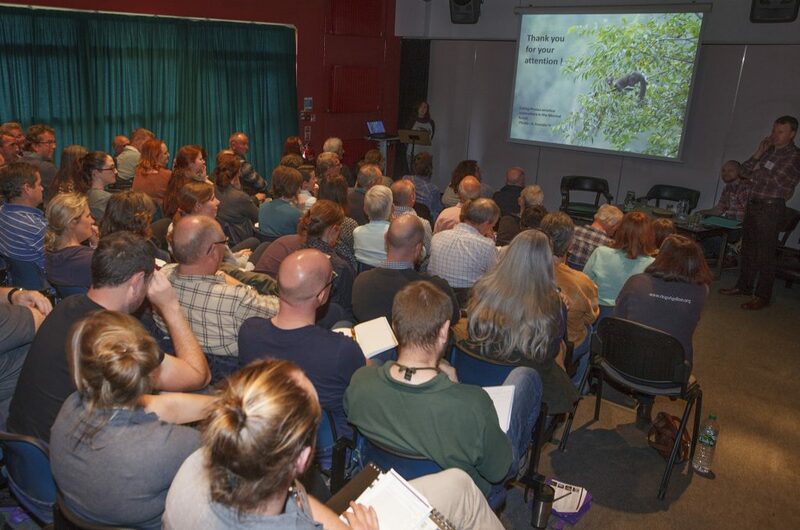 In February, Dave Tosh, National Museum of Northern Ireland, and I took it upon ourselves to organise the 2nd All-Ireland Pine Marten Symposium. As Dave had been working on projects involving both the pine marten and red squirrel in the Armagh area, we decided it would be worthwhile to have the 2nd symposium there. Fast forward to October 14th when the audio visual theatre of the Tí Chulainn Cultural Activity Centre in south Armagh was packed to the rafters with speakers and delegates from all over the island of Ireland and from England, Wales, Scotland and France. The idea to hold the event at the Tí Chulainn Centre was suggested by Therese Hamill, the Ring of Gullion Area of Outstanding Natural Beauty Officer, who quickly became the third person on our organising committee. Financial support was provided by Newry Mourne and Down District Council, the Ring of Gullion Landscape Partnership, the Heritage Lottery Fund and The Vincent Wildlife Trust. Before describing some of the scientific presentations and demonstrations that comprised this two-day event, it’s probably necessary to say a little about The Ring of Gullion because, as one delegate commented when invited to attend, ‘How could I resist visiting a place that sounds so Tolkien!’. Slieve Gullion rises 576m above its surroundings, dominates the landscape of south Armagh and lies at the heart of a volcanic centre that was active around 58 million years ago. The ring of hills that surround Slieve Gullion follow a circular fracture in the Earth’s crust and is an unique geological landform in Ireland and Britain. The 2nd Pine Marten Symposium, although a less explosive event, was nonetheless a dynamic affair. 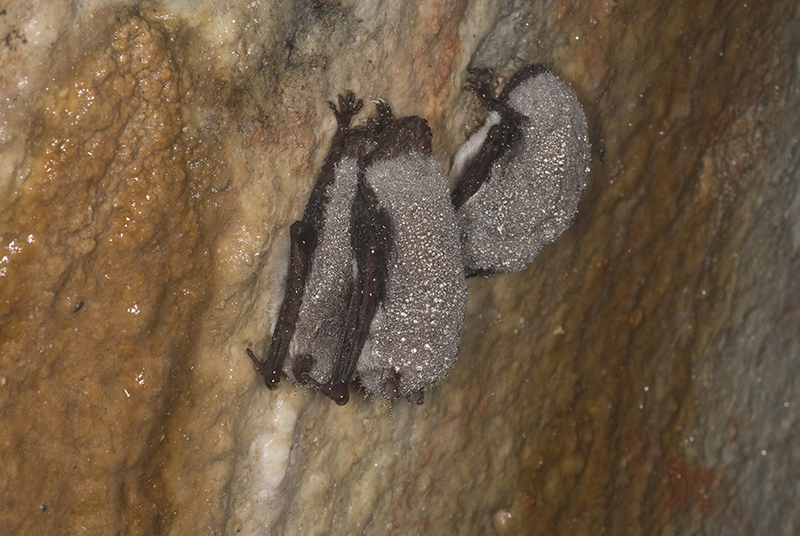 Thirteen speakers presented oral papers on the first day that described practical conservation measures, management issues, research into diet, interactions with other species, distribution studies and the use of DNA analysis for long-term monitoring of populations. Delegates shared their own experiences and concerns on a variety of issues during question time, highlighting the need for ongoing research and dialogue. 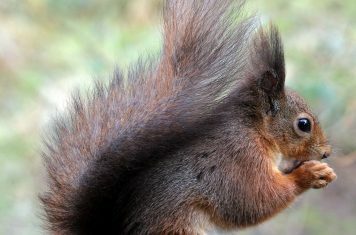 The first paper was delivered by Allan Bantick OBE (Cairngorm Wildlife) and provided a valuable insight into how humans and carnivores can live side by side, either when the latter are reintroduced to their former territory or, as is the case with the pine marten in Ireland, when the population recovers unassisted. One of the issues regularly raised in relation to the pine marten in Ireland is the threat it poses to game fowl held in pens prior to release. The VWT has been working with the Kilcormac Gun Cub in a joint project to test the efficacy of electrical poultry netting at pheasant pens as an additional deterrent to predators, including the marten. Kevin Sadler, a member of the gun club, reported the results of this study to the symposium and presented video footage that clearly showed both foxes and pine martens detecting the live current and quickly leaving the area of the pen – no pheasants were lost to predators between the months of June and September while the netting was in use. Claire Poirson (Coordination Mammalogique du Nord de la France) described the work that her organisation is undertaking to protect the pine marten, which involves gathering data on its distribution, protecting its habitat and raising awareness about the species. Claire’s group are erecting artificial den boxes as a conservation measure and this topic formed the basis of a workshop on the second day presented by Johnny Birks (Swift Ecology), John Martin (MyotisMart Ltd) and Dave, which also involved delegates travelling out to Slieve Gullion Forest Park for a practical demonstration on the health and safety issues to consider when erecting such boxes. During the course of the symposium, delegates were able to view the rich artwork created by school children from St. Mary’s School in Mullaghbane. The children had participated in a pine marten themed art competition, the results of which lined the walls of the centre and featured some very vivid depictions of the interactions between martens, red and grey squirrels! The competition was sponsored by the Department of Arts, Heritage, Regional, Rural and Gaeltacht Affairs, as was a range of cultural events on the Friday evening, including a lecture on the area’s rich archaeological heritage by Una Walsh and music, dancing and storytelling by The Ring of Gullion Traditional Arts Partnership and members of the band Bothán. There will be a 3rd All-Ireland Pine Marten Symposium and, although the date and venue have not yet been identified, what is known at this point is that the success of the event in south Armagh will be difficult to repeat.